Spend the day sewing with the one and only Eleanor Burns! Spruce up your table with this adorable table topper. 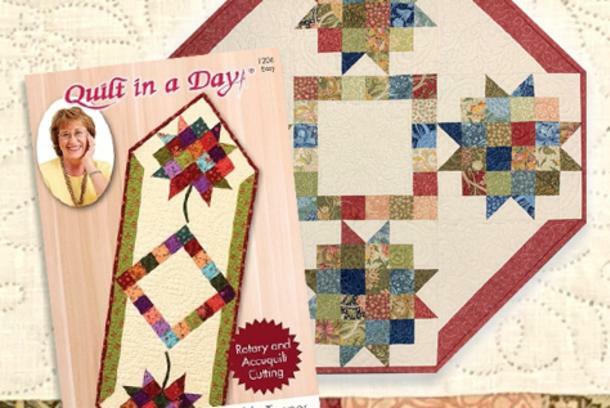 This project features easy piecing and is a great use for precuts and scraps. Once you see how easy it is to piece you will want to make one for all of your friends. 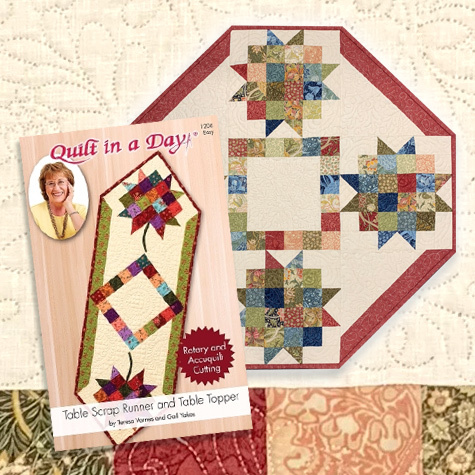 Class Fee includes: Table Scrap Runner and Table Topper instruction booklet, rough cut fabric kit, sewing machine use, and lunch. Fabric kit features: Morris Garden by V&A Achieves, for Moda Fabrics. Kit includes fabric for top and binding only.